Clustering dwarf bamboo-like palm suitable as a house plant. Rhapis robusta is a new dwarf Rhapis from wet forests of southern China. 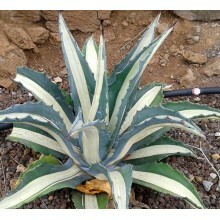 The variegated clone of Rhapis Koban is different from most Variegated Rhapis. 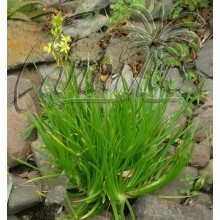 Its shorter leaves show no variegated stripes, while they boost a diffuse white tone reminiscent of Aspidistra Asa Ahi. 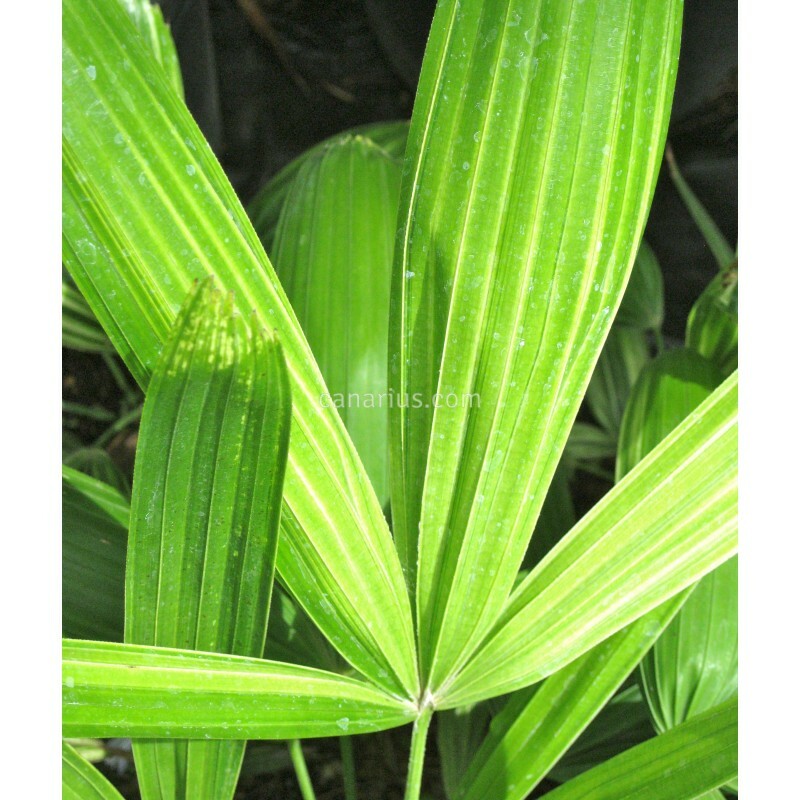 Clustering dwarf bamboo-like palm suitable as a house plant. Rhapis robusta is a new dwarf Rhapis from wet forests of southern China. It has profusely clustering thin trunks to 2 m (6 ft) tall, densely covered in delicately woven fibers. 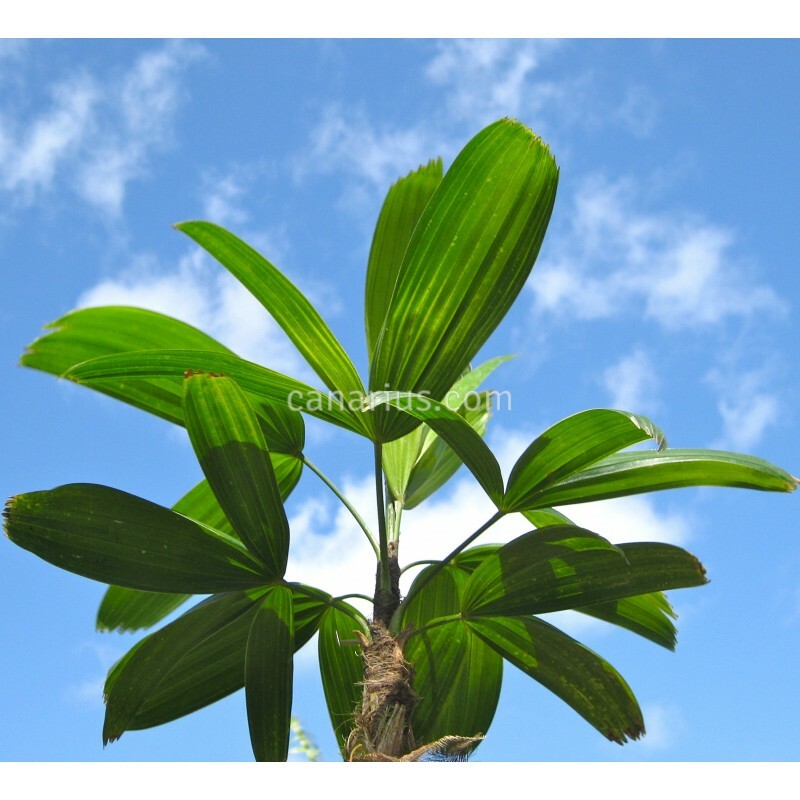 The fan-shaped leaves are small and deeply divided into three or four very broad segments. Easy to grow in a shady moist environment. 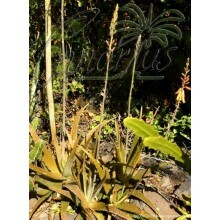 Rhapis robustacan take light frosts and cool temperatures. 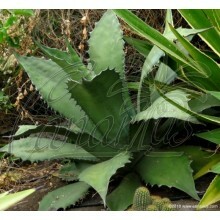 It is a perfect small pot plant and will do well indoors.